The reflection verse for Week 5 of the A Confident Heart Online Bible Study is one that I cling to. It is so easy to fall victim to condemnation, from our self, as well as, others. When condemnation comes against you, let me encourage you to quote this scripture as a word weapon. 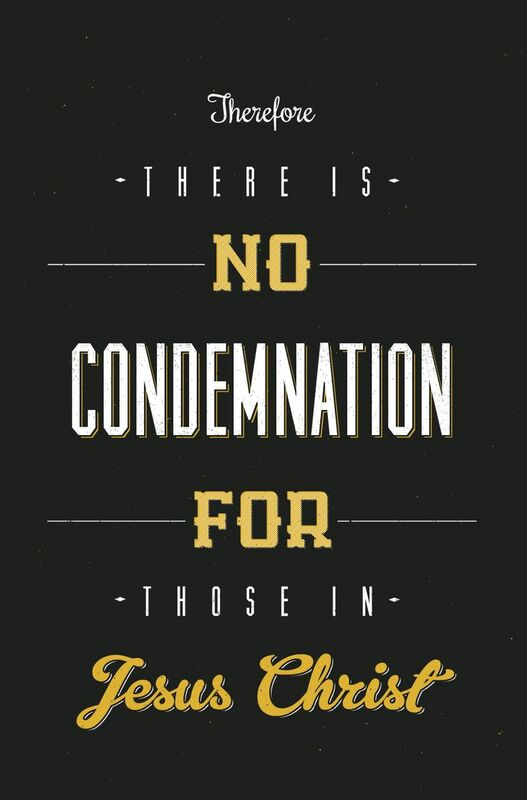 This verse is so powerful because no matter what you have done or will do, there is no condemnation in Christ. The Holy Spirit will convict us when we have sinned, so that we can repent. Condemnation, on the other hand, comes from ourselves and satan. Therefore we need to remind satan and yourself, that you do not walk after the flesh, but after the Spirit. Walking after the flesh is depending on yourself; walking after the Spirit is depending upon God. When we fail, which we all will, that does not mean we are a failure. It simply means that you do not do everything right. We all have to accept the fact that we have strengths along with weaknesses. Let Christ be strong in your weaknesses. Let Him be your strength on your weak days. Loved this today. Thanks for sharing. Beautiful post – so true, so true! “No matter what you have done, or will do…” AMEN! That is a Word, right there my friend. Busting out the word weapon right alongside you!